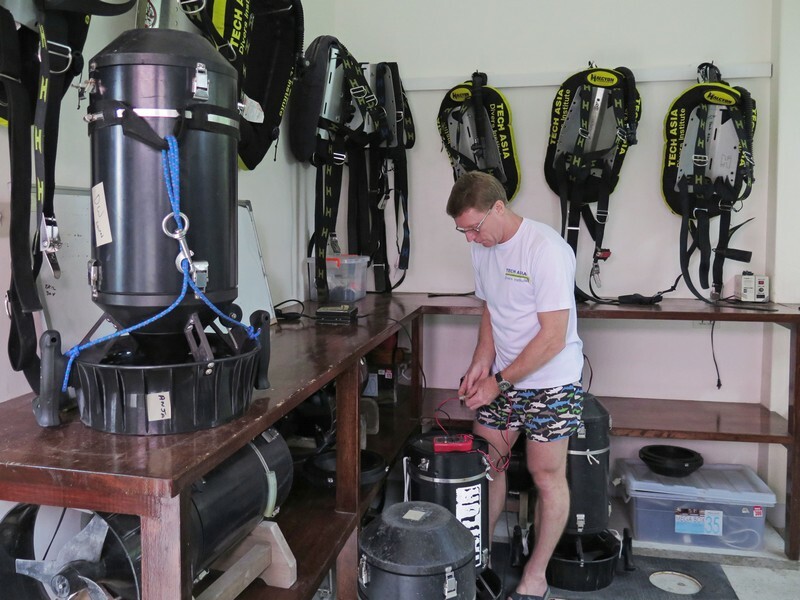 The Dive Centre was the original home of Asia Divers, and was renovated and reopened as Tech Asia in the year 2000. 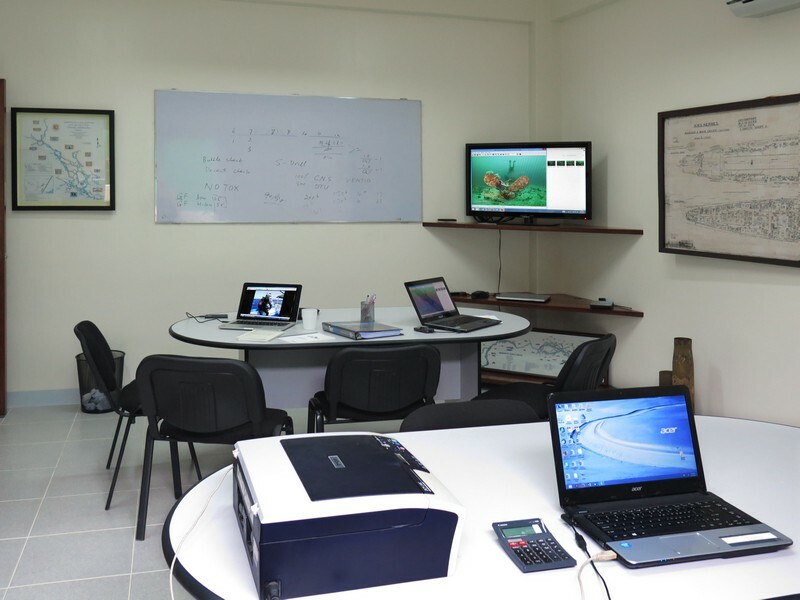 We managed to completely outgrow it over time and in January 2013 replacement and expansion of the entire facility began. 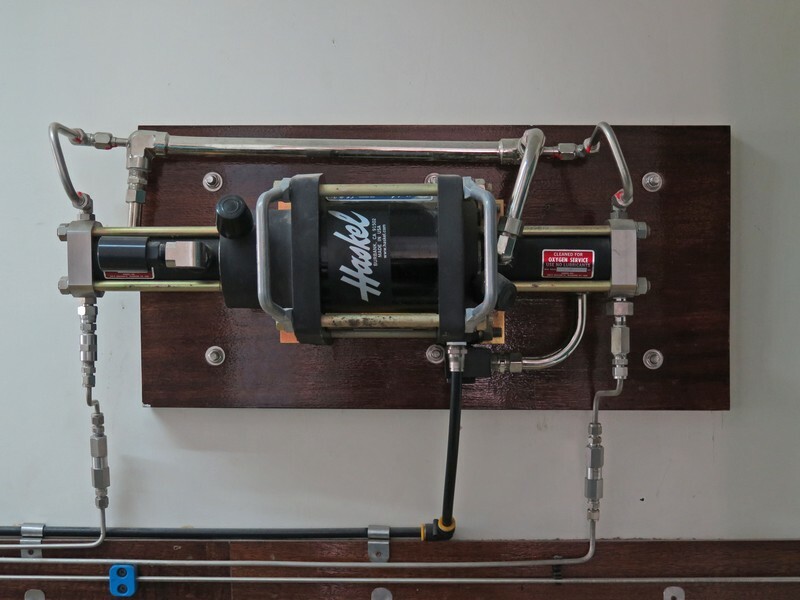 Now completed we have a completely new retail area, two classrooms, and have fully replaced all compressors and upgraded the blending systems. 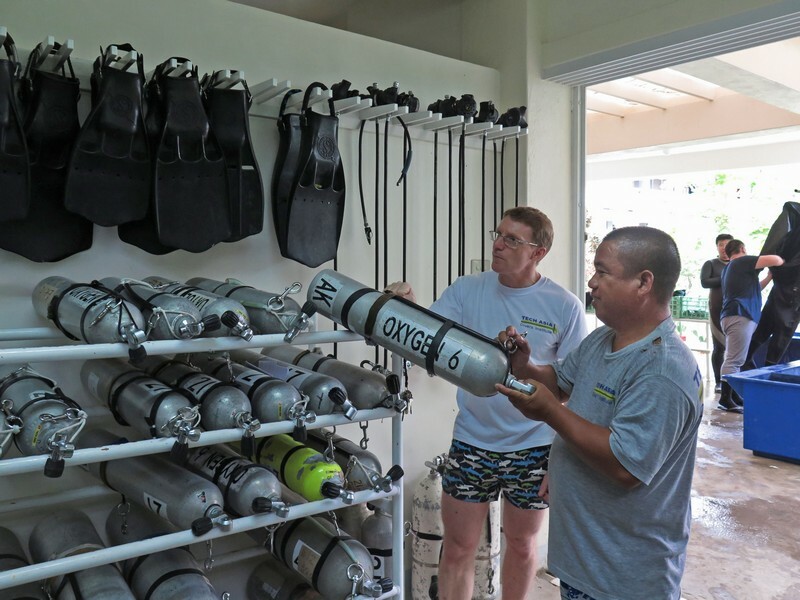 Divers have more space for personal equipment and we added a clean workshop area where our Technicians can service and maintain regulators, lights, drysuits and DPV’s. Dry charging areas for personal lights, videos and scooters were expanded, and we have a managed long term storage area where equipment left in our care can be checked and kept charged on a monitored and structured basis. 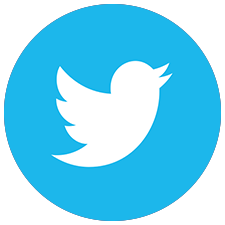 A photographic record of the transformation is on here … check it out! 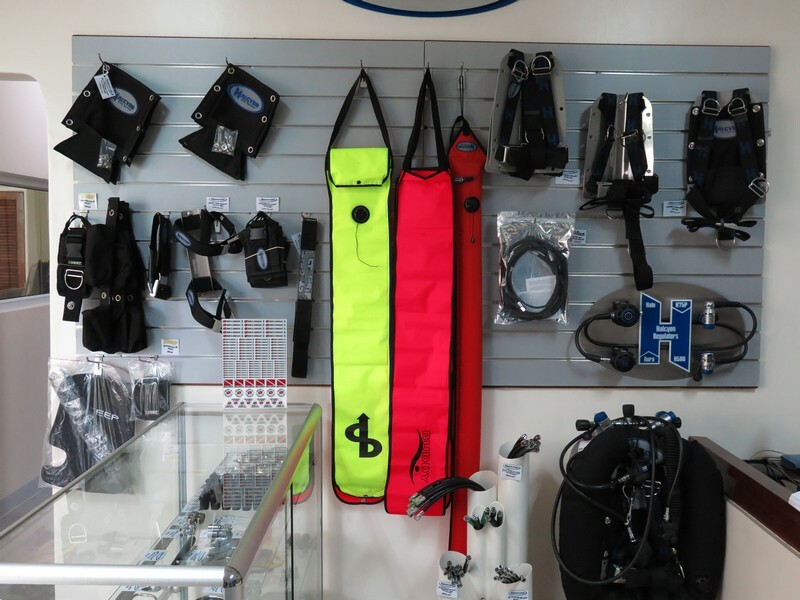 Our equipment sales arm is large and well stocked, so far as the needs of technical divers go, probably the most complete in the country and with outlets in Manila, Cebu, Bohol and Boracay. 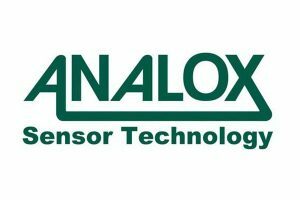 We are the Philippines principal Halcyon, DUI and Analox Dealer and also carry Suex DPV’s. We are inventoried with a full range of spare parts for all this. 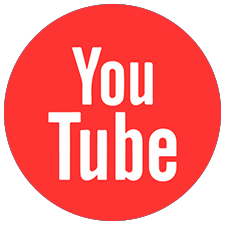 Whether you are starting out and needing to fully equip yourself, or have merely ripped a suit seal and need a replacement, we should have you covered. Bungee cord, surgical tubing, cave line etc. 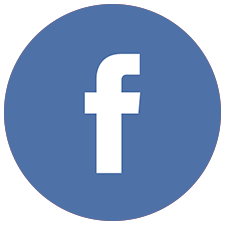 You should be able find everything you need to be able to assemble, maintain or upgrade almost all equipment right here on hand. 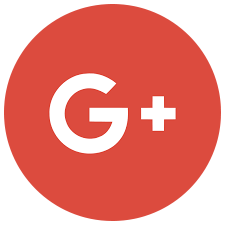 Any special requirements, given notice, we can generally source for you. 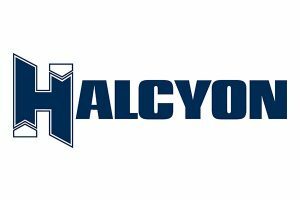 Halcyon began as a group of divers who knew exactly what they wanted but couldn’t find it in any dive store. 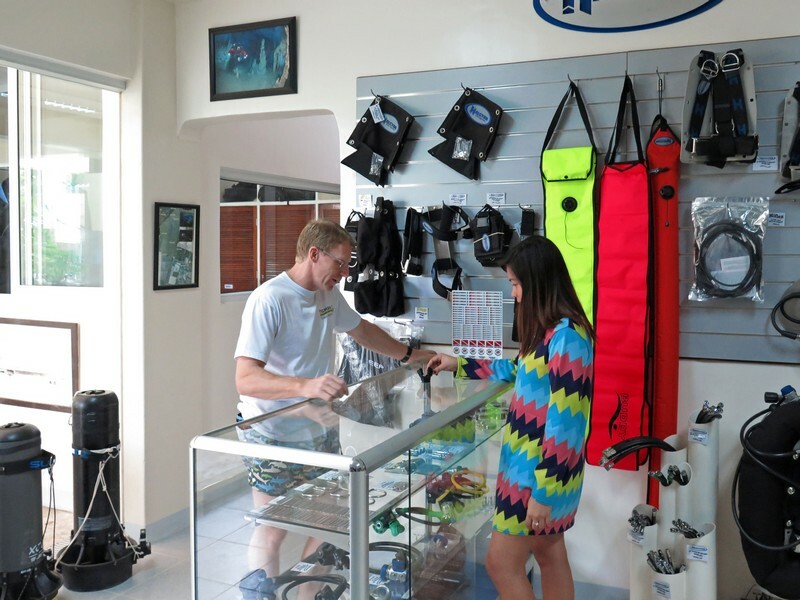 Our passion for the dive led us to business. We started designing wings and lights to satisfy ourselves. 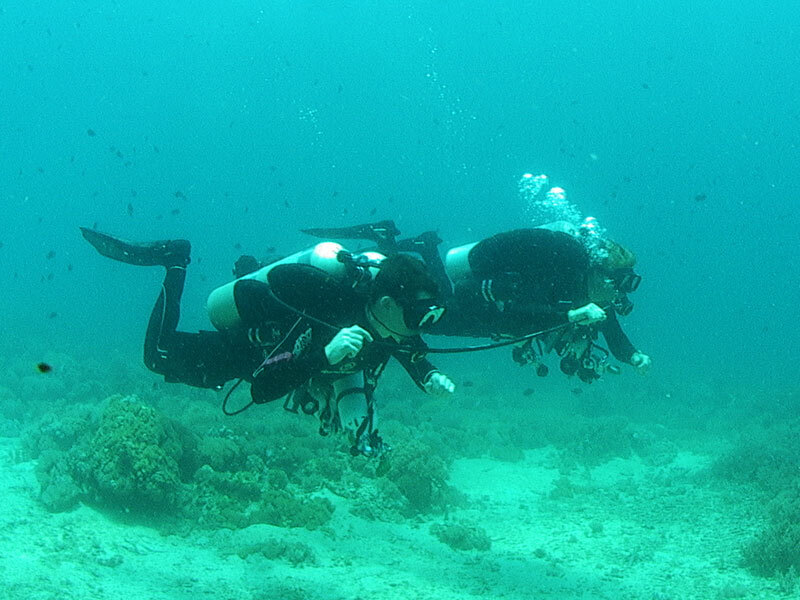 However, we soon discovered that we were not alone in our pursuit of equipment that could radically improved the diving comfort of the newest recreational diver while also supporting the most aggressive technical dives ever completed. 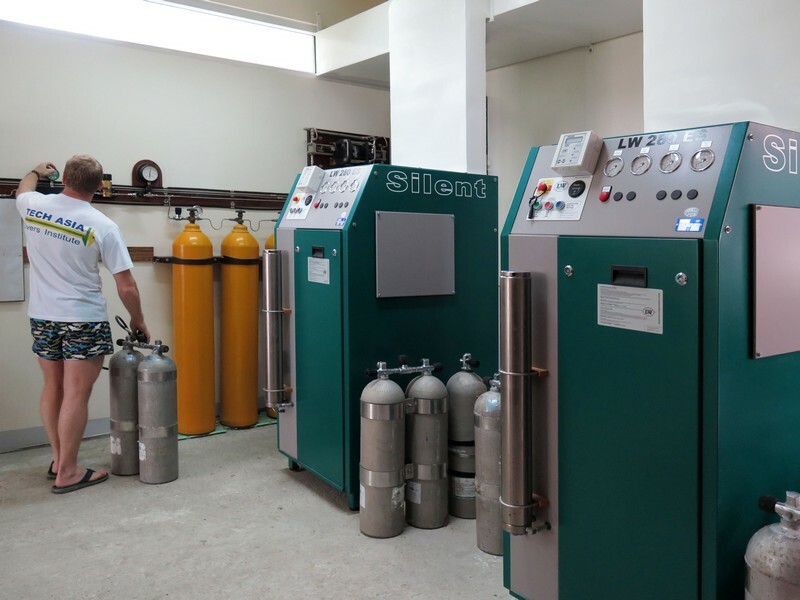 Our founders, as well as current owners and senior management, have a long history as diving pioneers with diverse backgrounds, ranging from academia to manufacturing and consulting. 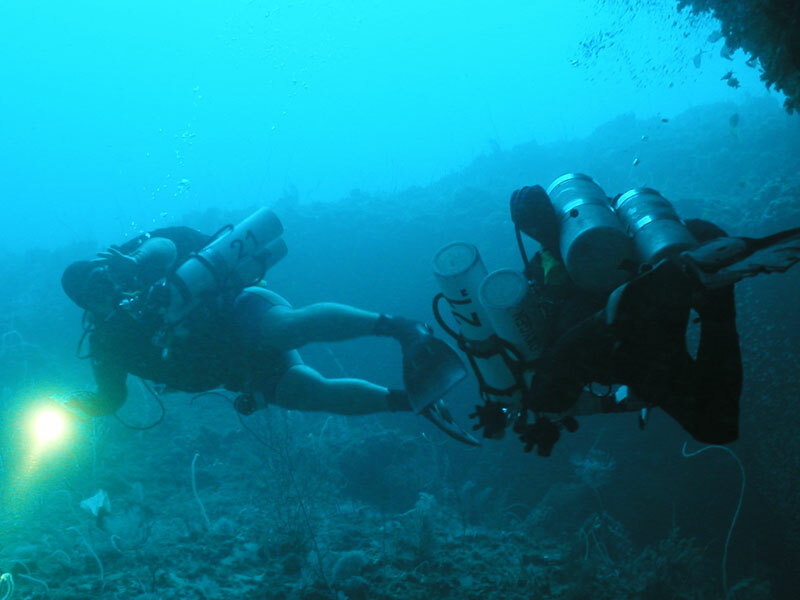 However, they share one common thread: an average of 20 years of dives in each of their logbooks. 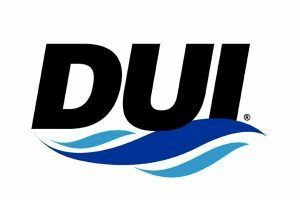 Established in 1963, DUI is the world’s leader in keeping divers warm and comfortable in any enviroment. 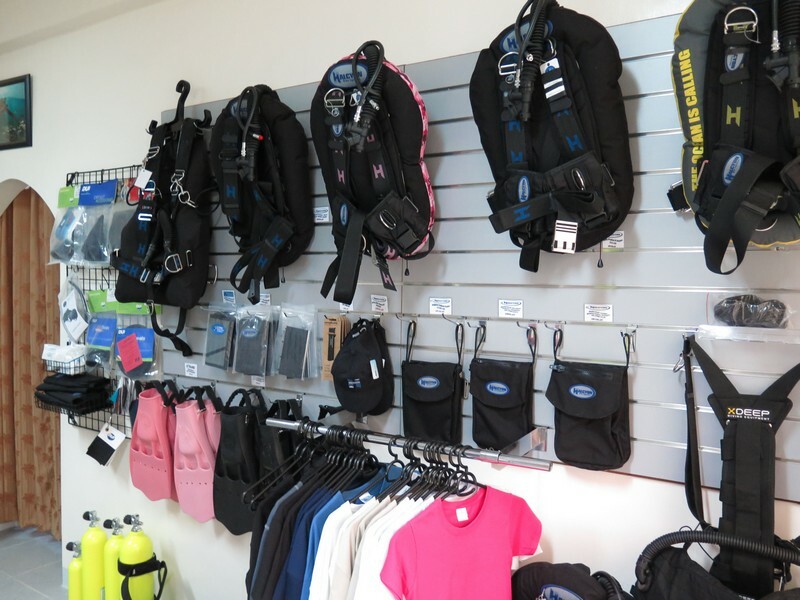 DUI drysuits are proudly manufactured in San Diego, California and distributed worldwide through select retailers. 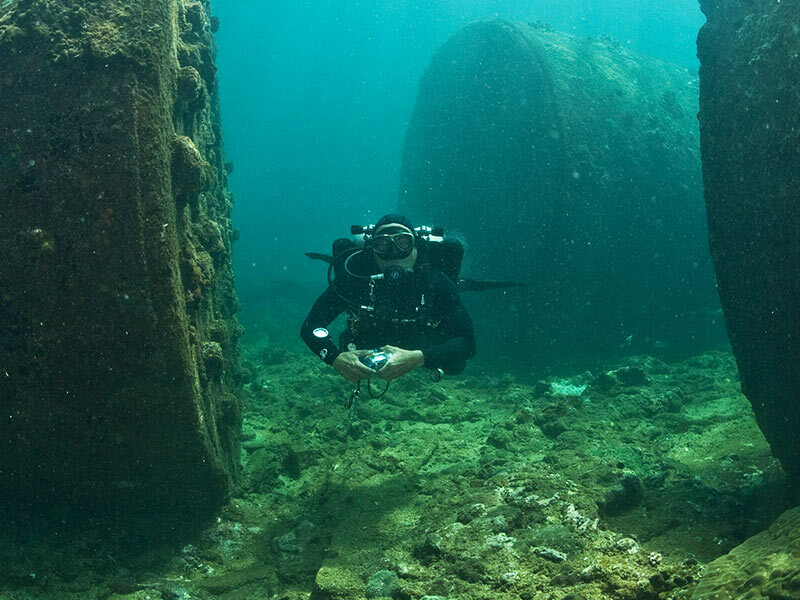 Suex was founded in 1999 with the goal to manufacturer a high performance technical diving vehicle for all diving professionals and applications, long range exploration diving, technical and deep diving, as well as the Navy’s many applications. 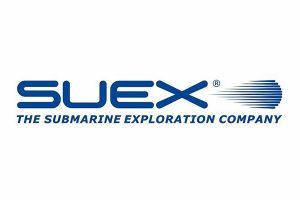 Nowadays Suex – The Submarine Exploration Company – represents the cutting-edge techonology of underwater mobility. Performance, reliability, manoeuvrability, complete product range and the excellent after-market service are the cornerstones that make Suex undisputed leader in the underwater scooter market. 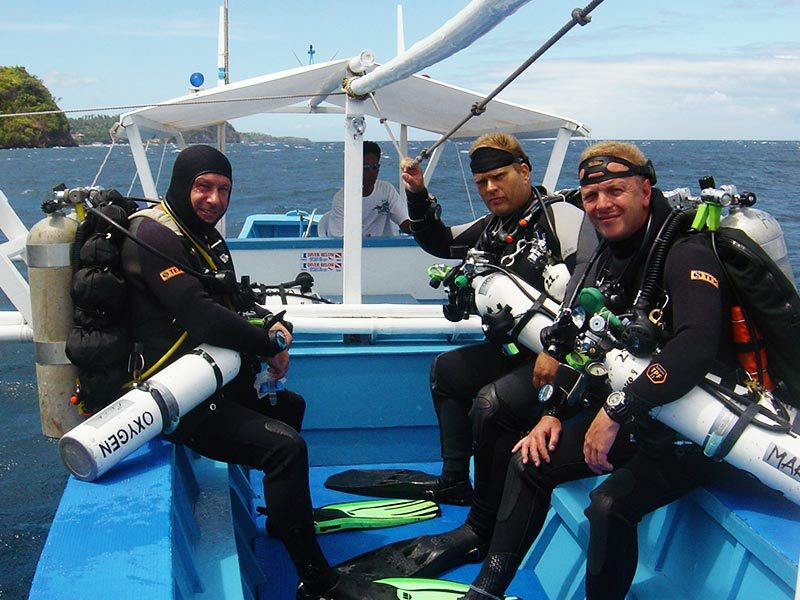 Shearwater Research designs and manufactures computers for divers demanding more from themselves and their diving experience. 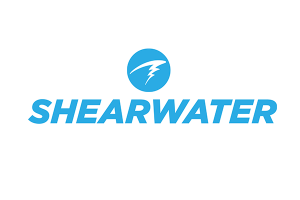 Whether you’re an air, nitrox, multi gas trimix or closed circuit rebreather diver, Shearwater offers products which are powerful, simple and reliable.